← Tawny Port with Food? This is made from a local grape – Carricante which is only found on Sicily. The vineyard is 80 years old and some of the vines are on their own rootstock. 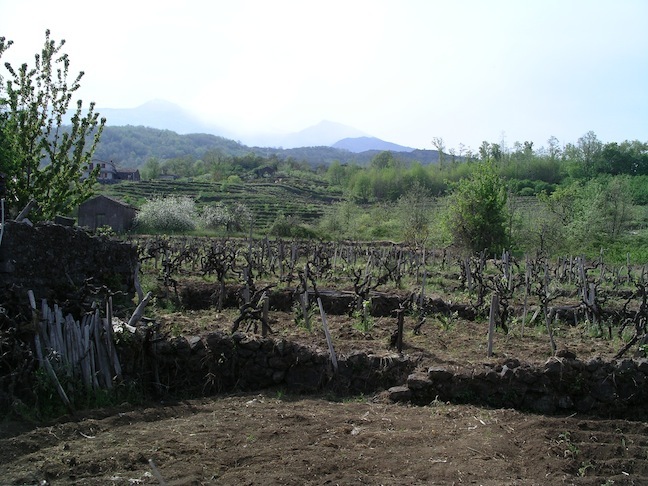 They are grown on volcanic soil around the village of Milo on the eastern slopes of Mount Etna. Lots of mineral stony volcanic notes with touches of honey and stone fruit too, but overwhelmingly mineral. The palate though is very round, smooth and mouth filling, the high acid does cut through in an apricotty way giving lovely balance, then the richness resurges. Lovely texture and weight, very elegant and concentrated with a peach stone bitterness to the finish, then stony and balanced with succulent apricot and citrus. Very long with the herb characters on the finish, I really liked this – 92/100 points. 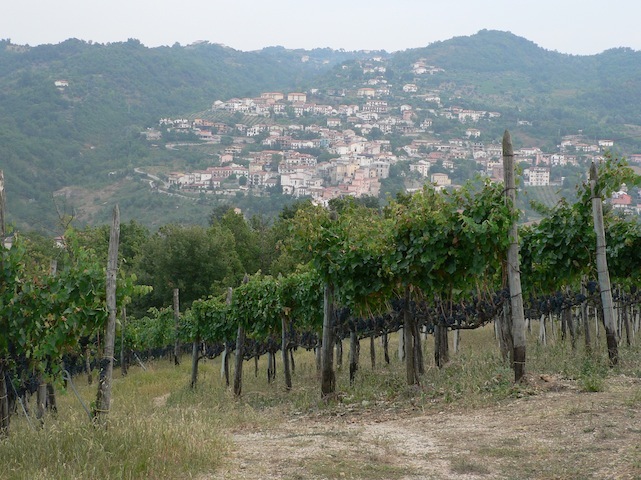 Locally they claim the Greco grape has grown near Naples since 800 B.C. and as you might expect it originally came from Greece – the southern end of the Italian Peninsula was part of the Ancient Greek world until the Romans took over. The soil is very mineral rich and to combat the heat the vines are grown at between 350 and 700 metres above sea level. The nose was fresh, citrus, floral, herbal and stoney and that followed through on to the palate, which then broadened out with a waxy, creamy, nutty texture, but was still kept fresh and clean by the minerality and smack of citrus acidity, lemon and fatter orange and the stone fruit characters of white peach. An elegant and refined, richly textured yet fresh dry white – 91/100 points. £12.99 per bottle in the UK from Ager Taurasinus. Another fascinating grape that has been grown in the area for, Fiano is believed to have been the grape used for Apianum one of the famous wines of Ancient Rome. Avellino neighbours Tufo and again the height and mineral rich volcanic soils help counteract the heat to produce beguiling wines. The aromas are clean, citric and mineral with wild herb and flower notes. The palate has a lovely intense weight to it and a nutty quality together with a creamy ripeness and almost tropical fruit at times – which is kept in balance by the fresh acidity and taut mineral quality. A lovely balanced rich dry white of character – 91/100 points. £18.99 per bottle in the UK from Ager Taurasinus. As if two grape varieties local to Campania weren’t enough, along comes a third – Falanghina. Again this grape has a long history and is thought to be the one used by the Romans to make their favourite wine – Falernum. In fact it is thought that not only has it been used here since around 700 B.C., but that its name has pretty much remained the same. The name derives from the Latin ‘falanghae’ which means tied to the stake – an early instance of sophisticated vine training perhaps and so worthy of mention in its name? Those of you who find these things interesting will see the linguistic relationship with Franco’s Falange in Spain – their inspiration was Fascism whose symbol was the fasces – a bundle of rods tied around an axe – and Spanish is closer to Latin than Italian. This is fresh and lively on the nose with citrus, wild flowers and some mineral notes. The palate is surprisingly rich with some honey characters, but is dry with ripe appley fruit and fresh balancing acidity. This is lovely sophisticated easy drinking dry white with some weight to it – 87/100 points. £10.99 per bottle in the UK from Majestic. The Irpinia D.O.C. covers the same areas as Taurasi, Greco di Tufo and Fiano di Avellino combined, so allows other grapes to be used there for D.O.C. wines. This wine has more concentration as well as more elegance than the I.G.T. version above. There is that pure minerality and high acidity all fleshed out with some lovely succulent peach while the merest hint of tropical pineapple lurks in the background. Well worth the extra pound – 89/100 points. £11.95 per bottle in the UK from Uncorked. 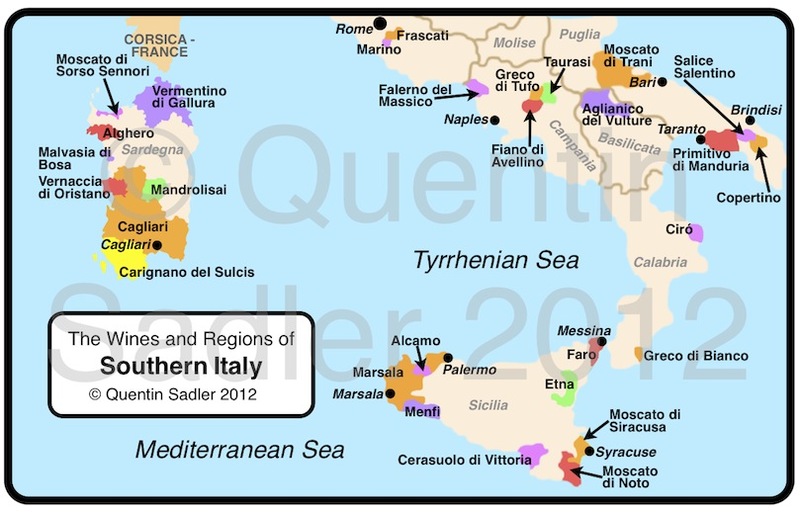 By the way if you do not know the wines of southern Italy and you live near Oxford, England, then you are in luck. My friends at The Oxford Wine Company are hosting a rather wonderful tasting on Thursday 19 July 2012 – details are here. There you are a few exciting ideas for terrific white wines that are just a little off the beaten track and a bit different, but are all delicious and hugely enjoyable. Why not try one, if you cannot easily find these particular examples of Falanghina, Fiano Di Avellino and Greco di Tufo there are many other lovely ones available – and at least one producer blends all three grapes together with great success – details are here.